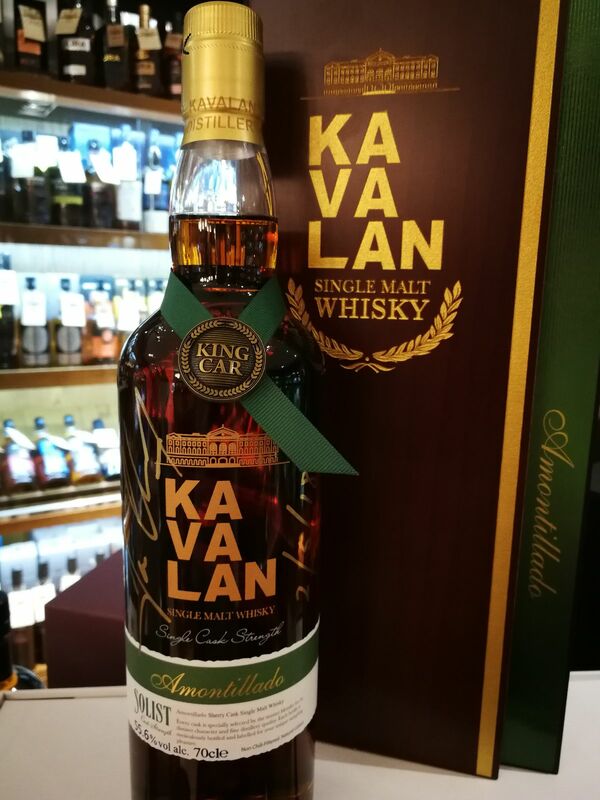 A 2016 release comes the amontillado-finished expression in Kavalan's Solist range! Amontillado is a kind of dry sherry which is darker than Fino but lighter than Oloroso, maturing with a cap of flor and then expose to the air for further oxidation due to the loss of flor. Toasted almond and hazelnut are the classic aromas for Amontillado casks! Named World's Best Single Cask Single Malt at the 2016 World Whiskies Awards. 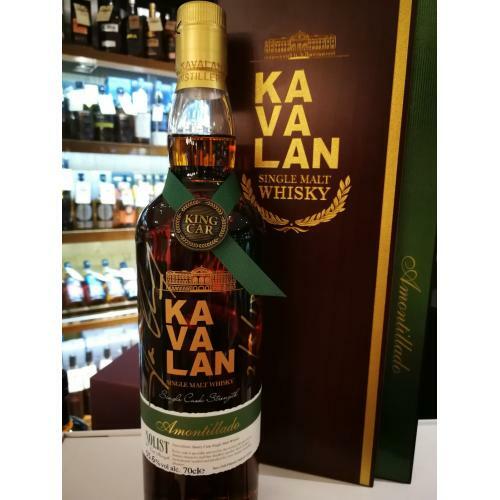 We suggest drinking Kavalan Solist Amontillado Cask neat. It is also perfect with ice cream. Palate: More exotic and soft sherry with a hint of caramel. Finish: The finish is gently long with nuts and pepperiness.